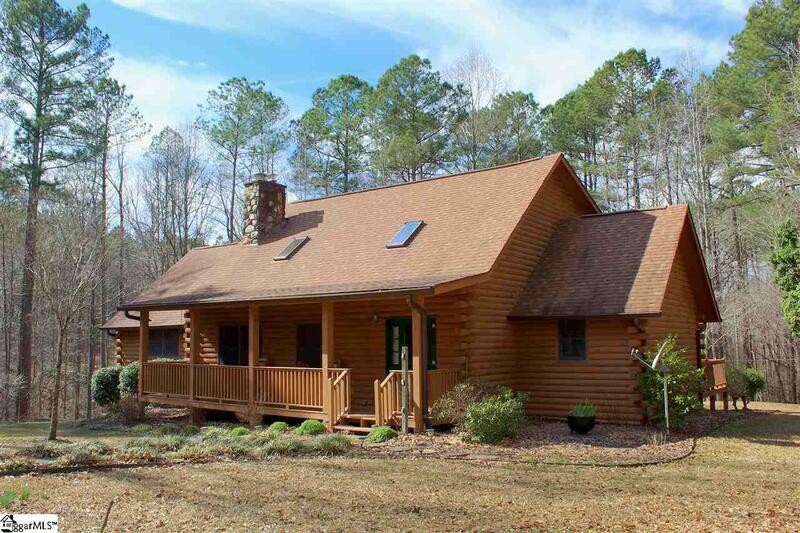 Nestled in the pines of a wooded lot in the Townville Lake Plantation neighborhood, this beautifully designed and nicely kept log home would be a dream residence for a family who values their privacy and is looking for a rustic retreat. The main residence was built in 1995 and features an open greatroom with loft views and skylights, grand stone fireplace, spacious master bedroom and bath, office, kitchen with breakfast space, laundry with half bath, and dining room. The second floor has a full bedroom, full bath, walk in storage space, and a loft flex room that could easily fit a futon or pullout bed. The basement features an open rec area, walkout to garage, storage room, full bath, and two separate rooms that could be used as craft/media/hobby space. With plenty of room to utilize on every floor, the options are endless. 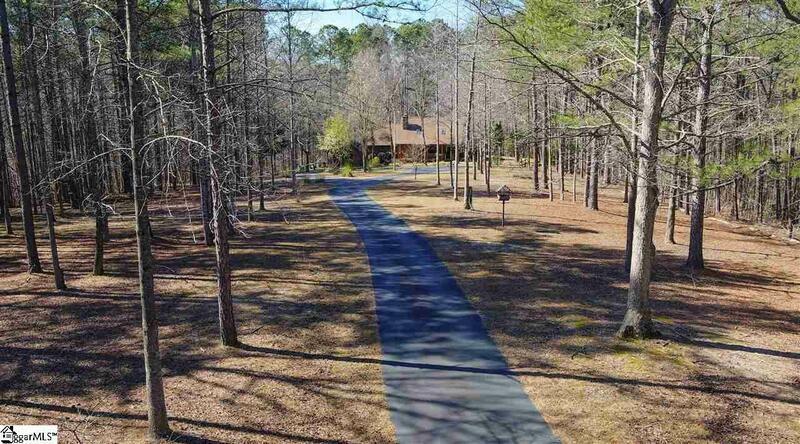 Property also includes a separate garage and storage building in addition to the attached two-car garage, and home is situated a comfortable distance from the road. 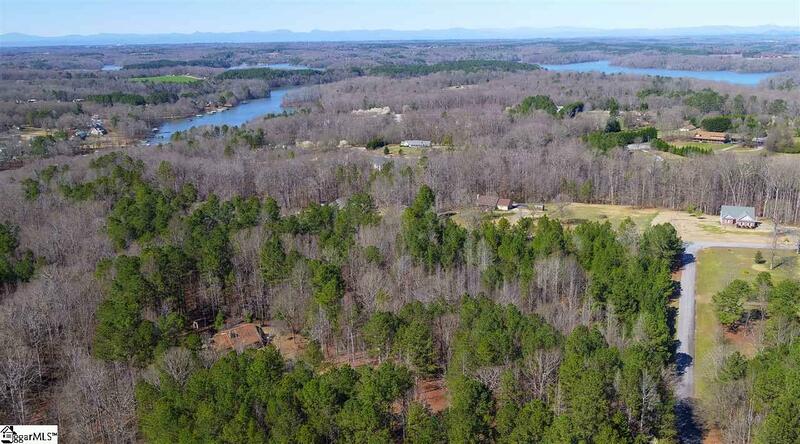 Subdivision is close to Lake Hartwell and public park with boat ramp. 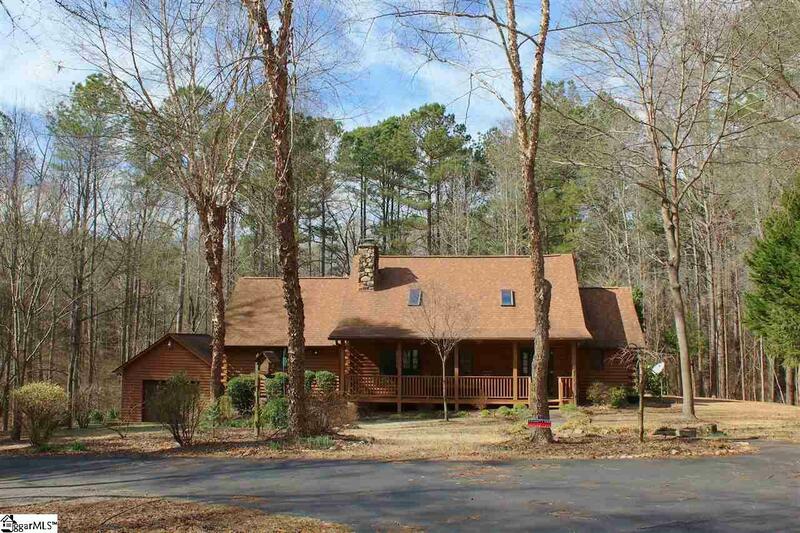 Listing provided courtesy of Lorraine Harding of Lorraine Harding Real Estate.